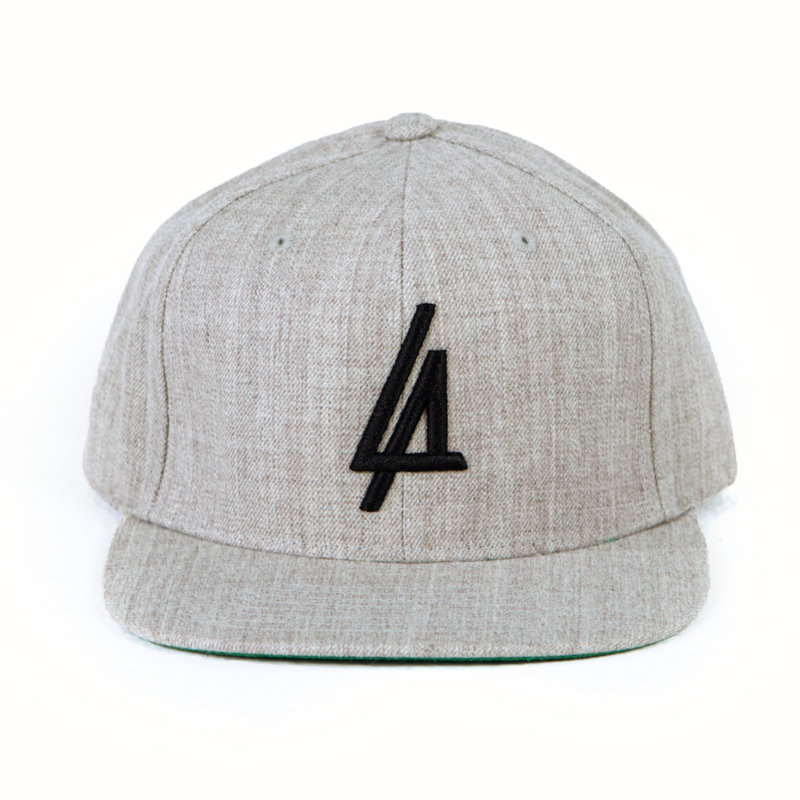 Heather Grey Snapback with Black 3D embroidered "LA". 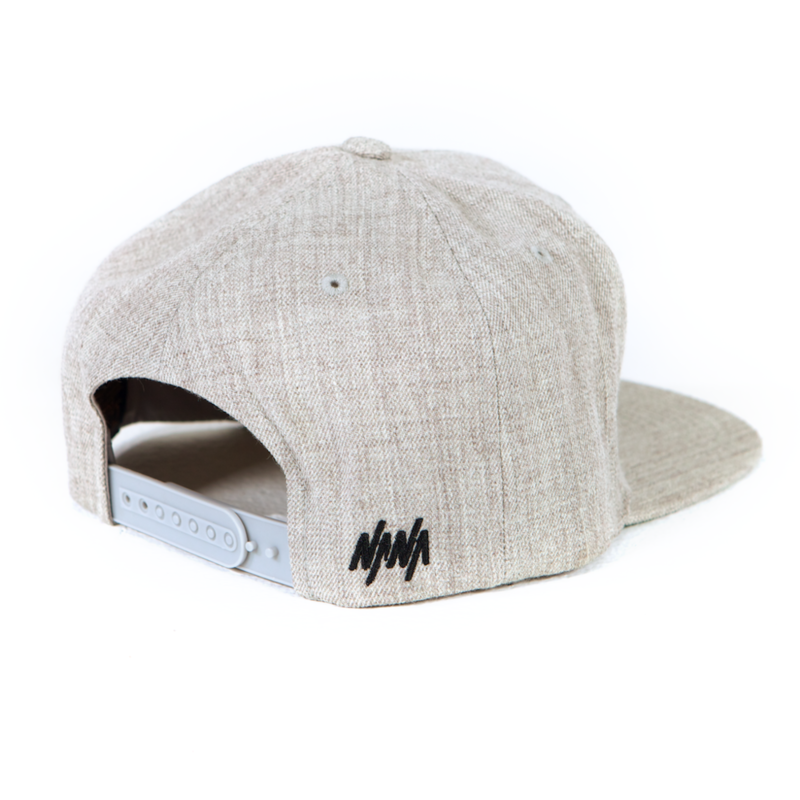 Small Black embroidered "NANA" logo on rear-right next to snaps. Green under-visor.